A week shy of a year ago, millions of Star Wars fans exited theaters after seeing The Force Awakens, and at least for those who had strong attachments to the original trilogy, the joy of seeing Star Wars writ large once again on the silver screen was muted by the cinematic death of a certain scoundrel. Han Solo’s murder at the hands of his son hit with the force of the Death Star laser, and while the character will continue to appear in new stories and adventures which precede that moment, they will now be tinged with the somber reminder of the smuggler’s mortality. His journey, though, as a character, was one which was completed. 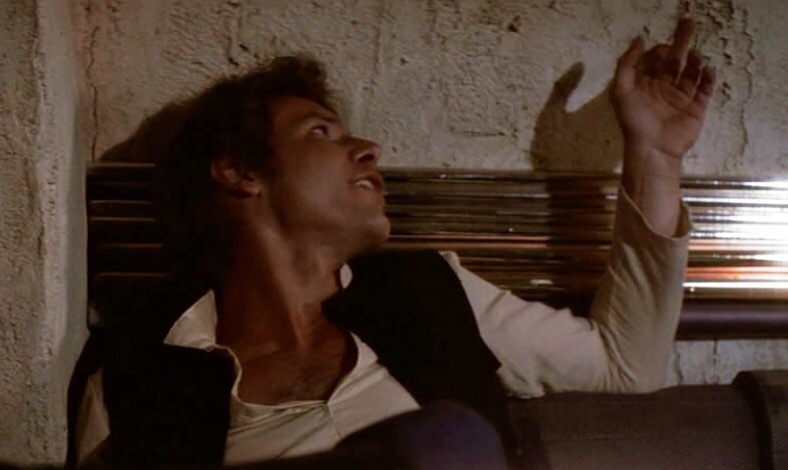 In 1977, Han Solo was introduced as a cantina lounging smuggler who boasted of a fast ship and a walking rug of a first mate with a possible penchant for ripping arms out of sockets when angered. The scene which helped establish the character wasn’t the moment he bargained with Obi-Wan Kenobi over providing passage to Alderaan, but when a green skinned and black eyed Rodian named Greedo dropped into the seat across from him. What came next has since become mired in Star Wars history between the appropriateness of when Han Solo lit up the bounty hunter with a blaster concealed beneath the table top. The reason for this debate is important because it subtly affects Han Solo’s character arc, the one which concluded on a walkway inside Starkiller Base. In the original theatrical edition of Star Wars, Han coolly blasts Greedo without warning after the Rodian implied he preferred to kill Han as a means to collect on Jabba the Hutt’s bounty on the Corellian. Though Greedo has a blaster leveled at Han’s head only a few feet away, he never had a chance to fire and fell a smoking husk of a bounty hunter to the table top. Somewhat inaccurately, this sequence of events is most often referred to as “Han Shot First,” even though there must be a second shot for someone to shoot first before it. As filmed, it portrays Han as both a pragmatist and someone who operates in something of a gray area. His life was threatened and rather than wait and see if Greedo intended to follow up with his preferred method of bounty collection, Han killed him. This is assuming Han believed Greedo had it in him to pull the trigger. It can likewise be just as fairly argued that Han simply killed Greedo to remove him as a barrier to getting the Alderaan job or at least, avoiding the headache of being hauled off to Jabba’s palace. Either way, the justification for the shooting is fuzzy. Then the Special Edition of A New Hope was released and it upended the world. In the newer altered version released by George Lucas to mark the 20th anniversary of the film, movie goers were treated to a radically different scene than the one remembered and watched on VHS. Everything leading up to Greedo’s death remains the same, except for the when and why Han Solo fires his blaster. This time Greedo actually fired first, proving himself a terrible shot with a blaster, and misses Han Solo from only a few feet away. Han’s shot, still from his concealed gun beneath the table, comes immediately after. It’s a clear case of self-defense and a definitive change in the character of Han Solo at the time of his introduction. The ambiguousness of Han Solo’s character is smoothed away, and while his desire to make a hefty amount of credits is sustained with his questioning of the need to rescue Princess Leia aboard the Death Star, there just isn’t as much of a scoundrel or moral pragmatist there to make such a threat very serious. This all comes into play at the end of A New Hope when Luke Skywalker is left vulnerable and alone, at the mercy of Darth Vader’s ill intentions. We can look at this point in the film with considerations of the two different Han Solos that were introduced at the beginning of the film because it’s the definitive statement on who Han Solo truly is as a character. As most recall, Luke is a goner but for Han Solo’s surprise return to provide cover fire, allowing Luke to successfully target the Death Star’s exhaust port. The surprise of the moment is built out of the alleged permanent departure by Han after safely delivering Leia and the plans for the Death Star to the rebel base and receiving a hefty payment for doing so. Han is asked to stay behind, but when the smuggler opts out, he’s accused of caring only for the money, himself, and nothing else. This line is a solid observation of the man who shot Greedo without hesitation, a man who makes a pragmatic decision to kill either to save his own skin or even worse, to simply avoid the undesired hassles that owing a crime boss can create. The first time viewer can watch and be truly convinced that the character of Han Solo has left the adventure. Thus, his return at the last minute is a shock and a surprise reveal of Solo’s character, that he can care about something greater than himself. However, when the same analysis is applied to the Han who killed purely in self-defense, the result is something weaker and murkier. Not enough negative or questionable aspects of Han Solo’s character has been developed to really sell the idea that Solo is indeed in it just for himself, at the expense of Luke Skywalker, Leia, and the rest of the rebellion against the Empire. As an additional twist, the Special Edition inserted a scene that was originally left on the cutting room floor, a confrontation between Jabba and Han, in which Jabba threatens Han over the costs of a lost shipment. This changes the understanding of Han from a man who chooses to act in his self-interest to one forced to act in his self-interest. The surprise return above the Death Star trench still has a ramification for Han’s character, but it’s one of Han Solo rising above outside pressures versus overcoming his own internal flaws. For the sake of Han Solo the hero, the character awarded a medal at the end of the film, what happens next from The Empire Strikes Back on forward is not relevant to what transpired in the first act of the character’s existence. 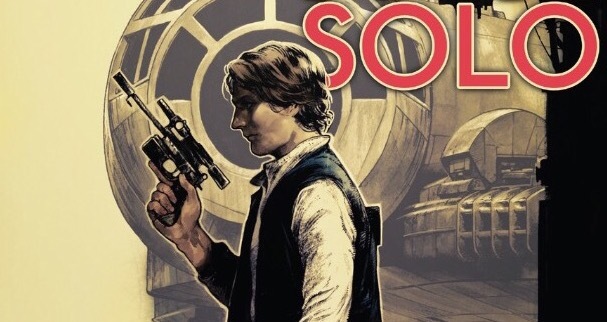 Recently, however, Marvel Comics just concluded the five issue run of Han Solo, a limited series about Han Solo set after the Battle of Yavin but before the rebels eventually made their way to the frozen planet of Hoth. Written majestically by Marjorie Liu, with art by Mark Brooks nice enough to lead George Lucas to purchase the originals, Han Solo touches upon the question of which of the two Han Solos will best be remembered over time. In part, this could be a generational question, as fans born after the Special Edition will know only the most recent iteration, but at the same time, it’s the generation which grew up with the previous Solo that are now in the creative chair. Along those lines, the Han Solo mini-series revolves around a post-Yavin Han Solo who still hasn’t truly decided if he wants to be that hero from the end of A New Hope. If one adheres to the Special Edition Solo, then the drama and character development which occurs across the five issues is underwhelming, but also a bit perplexing. Why would ‘that’ Han Solo even question his future helping his friends and the rebellion? Instead, it’s the Solo from the original theatrical release who it seems Liu has written her story about, a man who truly debated being in it just for himself and the money in A New Hope. Through this comic, we get to see this Solo finally come to terms with the choice he made over the Death Star. Then, coincidentally, the generation who never got to grow up with the Han Solo who shot Greedo will be influenced by the one that did. The future of Han Solo’s character in A New Hope remains one in flux. His literary soul may well be in the midst of a tug-of-war between those who grew up with the Special Edition and those who didn’t, and so long as the original theatrical release is never re-released, which would allow for a renewed emphasis on the latter, it may remain a contest that continues for some time. None the less, Han Solo will continue to be one of the most dynamic characters to emerge out of the original trilogy and with decades of space to fill with his adventures and heroics, will continue to bring the excitement of Star Wars to fans for years. Not being a huge Han fan, I never considered how the special edition changes the persecution of Han’s character. Personally, I prefer the original version of Han. I didn’t really like the SE changes. They sanitised Han and made Jaba seem more soft than he really was. The shot from Greedo in the SE is strange. It doesn’t really fit well with the dialogue. If I was to head canon it, I would say that Greedo saw Han’s intentions and shoots first. But perhaps he is distracted by the moment, perhaps because he doesn’t intend to do the deed in the Canteena. Of course, none of that is in the movie. With regards to any other stories or novels outside the movies, they are part of the AU and not canon IMO. To me they are just myths and legends told about the SW characters. Some true, but most not. I would be interested if Disney did a Han prequel. That would be canon. And if RO is anything to go by, Han may be portrayed ambiguously. Another thing that I noted was that Han never seemed to regard the Empire as the enemy. 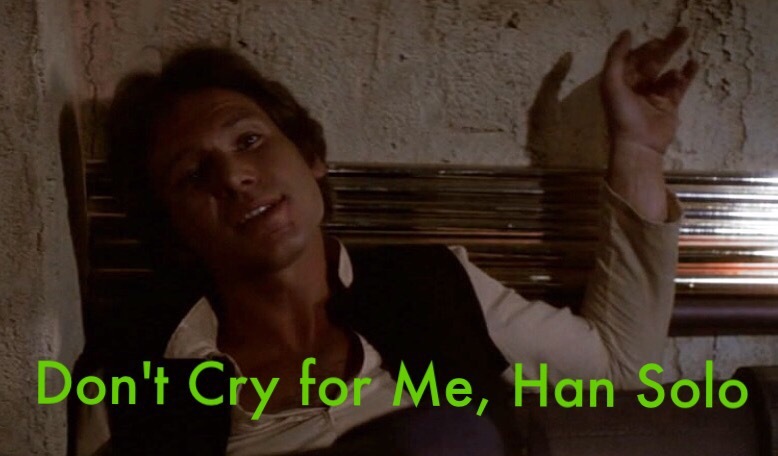 Especially in ANH, when Han refers to the Empire, I do not sense any real negativity in the tone of his voice. To Han, the Empire is an organisation he must deal with. He neither loves or hates it. He only opposes to Empire later because they are the enemy of his new associates. But I always feel that he only opposes the Empire for personal rather than through conviction. You’re in luck, a Han origin film will be out two years from now in 2018 as the next Star Wars Story installment! I hope they play up the more mercenary/selfish nature in it, something of a minor course adjustment from the SE. I heard that the Han movie was on the cards. Perhaps we’ll see Han and Greedo working together. Now that would be interesting.